Dennis A. Andrejko heads RITâ€™s Master of Architecture program, which has received accreditation by the National Architectural Accrediting Board. Rochester Institute of Technology’s Master of Architecture program in the Golisano Institute for Sustainability (GIS) has been granted accreditation by the National Architectural Accrediting Board (NAAB). Based in Washington, D.C., NAAB is the sole agency authorized to accredit professional degree programs in architecture offered by institutions with U.S. regional accreditation. RIT’s Master of Architecture program—a collaboration between GIS and the College of Imaging Arts and Sciences—was established in 2011. The program uniquely fuses architecture with sustainability in providing graduates the tools that enable future leaders to address technology, building performance, site, climate, social issues and urbanism with sustainability and resiliency in mind. “This accreditation marks a major milestone for the department and GIS that would not have been possible without the dedication, effort and involvement of many faculty, staff, students and other supporters,” said Dennis A. Andrejko, head of the program. He also recognized the active and integral promotion and support the program has received from the architectural community in the Rochester, N.Y., area. In addition to laboratory investigation, field study, lecture and seminar courses, the RIT program requires students to complete a global study experience that allows them to study significant historical and contemporary architectural designs in countries around the globe. The program combines courses in industrial ecology, sustainable science and sustainable buildings with traditional classes in design, theory and history taught through the lens of sustainability. Students also have opportunities to collaborate daily with sustainability researchers and take part in academic programs in pollution prevention, sustainable engineering, urbanism and community studies, and public policy. Andrejko believes that it’s critical for “sustainability to inform and enrich the architectural process,” especially at such a challenging time for the world’s environment. 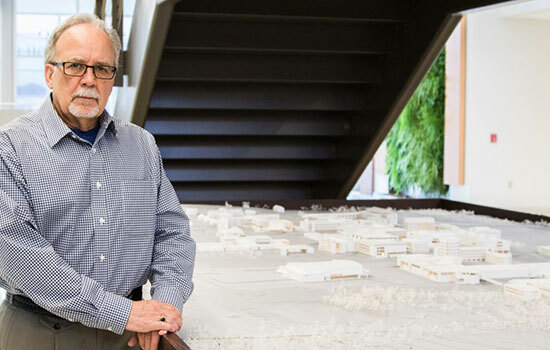 “This accreditation ensures that many future leaders of the design profession will emerge from our program by taking advantage of their academic experiences here at RIT and make substantial contributions toward a sustainable future,” he concluded.